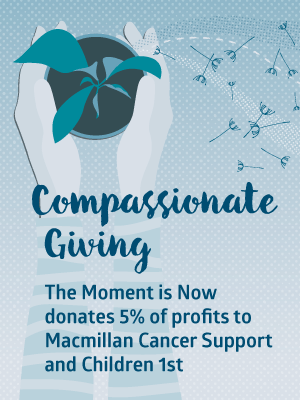 Gillian Duncan set up The Moment is Now in 2015 to provide mindfulness coaching in a nurturing, creative and inspiring atmosphere. 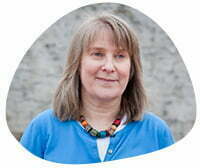 She and her team of guest tutors are all passionate about passing on the benefits of regular mindfulness practice. Mindfulness meditation is my anchor through life’s ups and downs. I’ve been personally practising meditation for over 20 years now and, in that time, I’ve discovered just how important maintaining a sense of well-being is to staying healthy, feeling good and functioning well. I’m passionate about sharing the mindfulness techniques that create that feeling of well-being with as many people as possible, encouraging them – person by person, breath by breath – to live from a place of awareness, peace and joy. I worked in the corporate environment for over 20 years as a customer research and insight specialist, developing a keen empathy for the customers I worked with and a talent for finding ways to help people overcome challenges and achieve positive solutions. While still working in the corporate sector, I completed my Mindfulness Association teacher training at Kagyu Samye Ling Monastery and Tibetan Centre and, in 2011, began teaching mindfulness meditation. I set up The Moment is Now so that I could pass on the benefits of mindfulness meditation to as many people as possible. My mission is to help people develop a positive relationship with themselves, to become more aware of who they are, and to pause and experience a sense of calm and well-being amidst the busyness of everyday life. Helping people develop mindful resilience in the workplace. Since qualifying as a Mindfulness Association accredited teacher in 2011, I’ve continued my training under the guidance of The Mindfulness Association, one of the leading organisations in the field of mindfulness, compassion and insight meditation. In 2016, I completed the Breathworks teacher training course, Applying mindfulness to chronic pain and long-term health conditions, to expand my knowledge of how to help people living with long-term pain. I am on the register of Mindfulness Association supervisors, helping to support and mentor mindfulness teachers at all stages of their development. I’m also on the UK Network for Mindfulness Based Teacher Training Organisation’s register of UK-based mindfulness teachers. All of these teachers have undertaken training to a specified level and adhere to ongoing good practice recommendations. 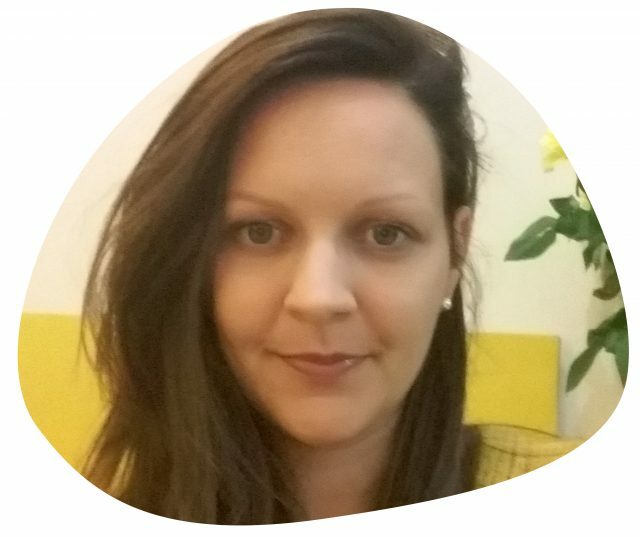 I’m a Mindfulness in Schools accredited teacher, trained to deliver the .b (dot-be) and Paws b Mindfulness in Schools programmes for students, and a Connected Kids™ accredited tutor. I’m deeply interested in a wide range of therapies and spiritual traditions including meditation, yoga, Buddhism, shamanism and Bach Flower Remedies. I am an Indian Head Massage practitioner, a Usui Reiki Master and Karuna Reiki practitioner. I love bringing my mindfulness coaching skills into clients’ Indian Head Massage and Reiki sessions, enhancing and increasing the effectiveness of the treatments by helping them tune in to the valuable sensory feedback each session brings. Apart from mindfulness, what else do I love? I love the outdoors and spend most of my free time and holidays in the mountains – walking, climbing, ski touring or simply soaking up the blessings of nature. I love exploring the outside world, as well as the inner world, and have travelled to many of the mountainous countries in the world, including Mongolia, Greenland, Iceland and Norway. My kitchen cupboards contain an extensive range of healthy, herbal teas but I’m also frequently tempted out to Earthy or Maxime’s in Edinburgh for a half-shot cappuccino and slice of lemon drizzle cake or a florentine! For me, one of the greatest benefits of practising mindfulness has come from learning to live life in the present, even under seemingly very difficult circumstances. As someone with a lifelong tendency to worry, mindfulness has helped me recognise my anxious thoughts and catastrophize less. Mindfulness techniques can help you change the way you feel and think about your experiences – especially stressful ones. Practising mindfulness has also brought me the joyful gift of self-compassion. Like many people, I have a strong inner critic! Learning compassion practices, though, has helped me soften towards myself. I started practising meditation in 2006, learning how to connect with my breath during a stress-reduction seminar. I joined a weekly teacher-led meditation group and decided to learn Reiki healing. At this point, I admit, meditation was not something I intended to teach professionally! I simply found it invaluable in helping me relax and cope with the demands of my very busy job. My life changed dramatically in 2014 when, out of the blue, I was diagnosed with breast cancer. I realised, after recovering from the initial shock, that conventional medicine could only do so much, but that within me lay the ability to help my own body to heal. I set about reading everything I could about alternative approaches to healing from cancer. Along with two surgeries and 19 sessions of radiotherapy, I began juicing – to give my immune system the nutrients it needed to heal. I started going to yoga regularly and fell in love with this dynamic yet gentle form of exercise. I also had regular reiki and reflexology treatments and meditated as though my life depended on it – which it felt like it literally did. After recovering from breast cancer, my path in life changed – instead of going back to my previous career, I decided to practise my new-found passions as a holistic therapist. 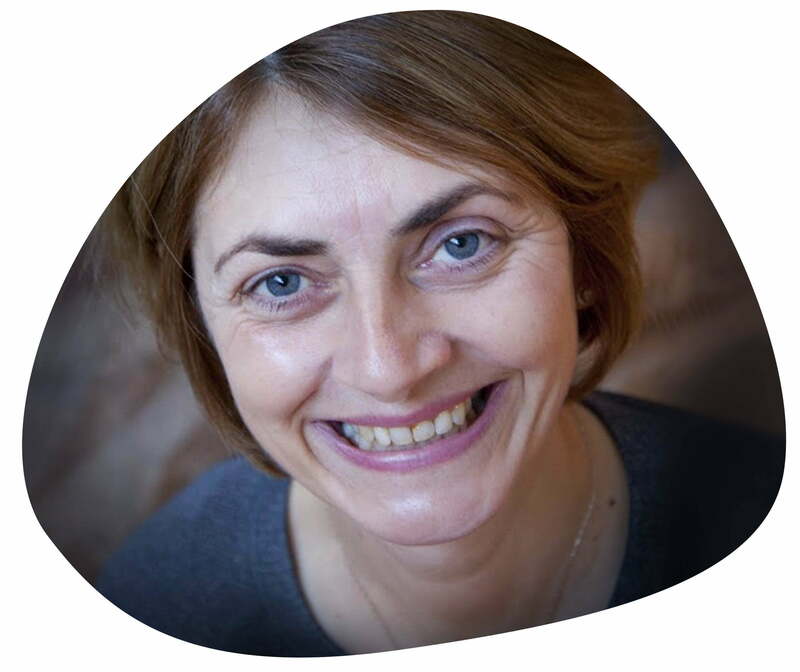 I set up Ashley Watson Therapies in 2015, offering Emotional Freedom Technique (EFT) therapy, Reiki and Mindfulness coaching; I began co-leading workshops with Gillian in the same year. I am a Mindfulness Association accredited teacher and am qualified to deliver the Paws b Mindfulness in Schools programme for 7-11 year olds. I am also a Karuna Reiki and Emotional Freedom Technique (EFT) practitioner. I still love yoga and have now also fallen totally in love with Tai Chi and Qigong, which I came to through practising mindful movement. I adore cooking and eating out and love having friends over for dinner. I take every opportunity to try out new restaurants! I also enjoy nature and the outdoors – although I’d describe myself as an enthusiastic walker, rather than a mountaineer like Gillian. I live in Edinburgh with my husband, Moray, and our miniature schnauzer, Heidi. My daughter Sophie has just moved to London to start a year-long graduate job with Age UK so, for the next year, I will be back and forward to London for sightseeing and regular visits to the theatre – I have a passion for musical theatre! I was first introduced to mindfulness in 2004 while studying Thai Massage in Thailand. Its effectiveness in helping to still my mind had an instant impact on me. I started my own regular practice, mainly using Jon Kabat-Zinn’s body scans, to help me recover from intense physical training. As the years went on, I practised other disciplines, such as Qi Gong and Hatha and Kundalini yoga. All these practices incorporated meditation, but I kept coming back to mindfulness. I believe mindfulness is the greatest tool we can use to help us understand ourselves, find the good in life, and cultivate kindness and compassion for ourselves and others. One of the most rewarding things about being a teacher of health and well-being —something I’ve been doing for nearly 20 years now—is seeing individuals build greater awareness through mindfulness. I’m passionate about helping guide people to greater well-being, so they can find peace and explore their potential. I use my broad skill-base in health to compliment my mindfulness teaching, helping people build self-esteem and reduce anxiety. 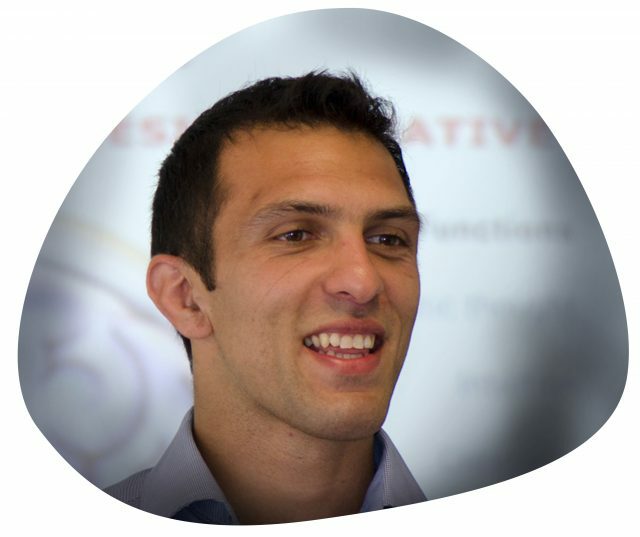 As well as being an accredited mindfulness teacher, qualified through the Mindfulness Association, I’m a certified holistic lifestyle coach, Thai massage therapist, personal trainer and the founder of Total Health (www.totalhealth.uk.com). I’ve studied a broad variety of disciplines, including psychology, Eastern medicine, nutrition and yoga. I’ve worked with a wide range of people—from pensioners, cancer and mental health patients, to executives, ambassadors, GPs and world-class athletes. I’m an experienced martial artist, a Brazilian Jiu Jitsu black belt and a former British and Scottish champion. In my spare time, I love hanging out with my kids, wife and dog, enjoying some good food and a nice craft ale! I was introduced to the concept of mindfulness in 2014 when I was studying for an MSc in Psychological Therapies. I decided to join an eight-week mindfulness course to find out more about the practice and the benefits it might bring to my well-being—particularly at a time when I was trying to balance work, study and pleasure. That eight-week course was led by the calm and inspiring Gillian Duncan, from The Moment is Now. After the course, I decided to develop my practice further and followed the Mindfulness Practitioner training pathway with the Mindfulness Association, attending regular meditation retreats to help me develop my mindfulness practice and connect with my mind, body and nature. Now I’m an accredited mindfulness teacher, qualified through the Mindfulness Association, and a guest tutor for The Moment is Now. I’ve come full circle and I love being able to share the practice of mindfulness and its benefits with you. This was one of the first quotes I heard when I was introduced to mindfulness. My daily mindfulness practice is the anchor that continues to help me surf the inevitable stormy seas of life. It also connects me to the wider picture, helping me “take in the good” and experience the joy, and brings me a sense of appreciation of the now. I am inspired to share mindfulness practices and research with others to offer a flavour of how the practice can support a sense of well-being. I love being near water, so I enjoy spending time walking along Edinburgh Union Canal or the beach, often with an ice cream in hand. I’ve travelled to many countries, including Alaska, Iceland, China and Indonesia. In recent years, though, I’ve developed a love for spending weekends away in a campervan closer to home. I relish the freedom of parking up overnight next to a loch and waking up in the morning to be greeted by nature! I have a lively interest in complementary therapies and am a trained reflexologist, providing reflexology for people with Motor Neurone Disease, their families and carers. I like reading about the holistic approach to well-being, which compliments my mindfulness practice. I particularly enjoy retreats that have a focus on mindful movement and Qi Gong. I have an MA Honours degree in Psychology, completed in 2007, and an MSc in Psychological Therapies, obtained in 2014. The MSc training involved a focus on Cognitive Behavioural Therapy (CBT) and, since then, I have attended workshops on Compassion Focused Therapy. I work for the NHS as a Psychological Therapist, working with adults experiencing depression and anxiety disorders. If you’ve any questions about mindfulness, please do get in touch using the pebble below.